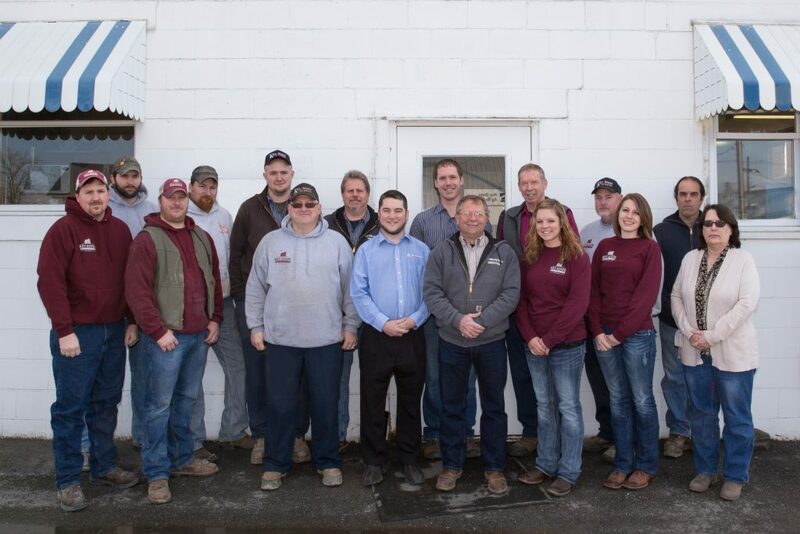 Key State Ag Service, LLC is owned by Kevin Grubb and Ben Byler and is located in Martinsburg, PA. Kevin started the business by delivering bagged feed for Cargill with a pickup truck and a small warehouse at his residence in New Enterprise. Liquid fertilizer was also sold and distributed from this location. In 2003, Ben was employed to work for and grow the business. In 2006 Jim Byler was hired to operate a dairy supply truck and also at his time the Purina dealership was attained. In 2012, Key State Ag Service became an LLC owned by Kevin and Ben, and Key State Ag Transport, LLC was created owned by Kevin and Cale Grubb which is a liquid fertilizer and bulk transport company. In 2013, the location moved to Martinsburg in a feed mill previously owned by Pennfield. Currently there are three segments of the business: toll milling of bulk feed, delivery of bagged feed and bunker covers, grain drying and storage. In 2016, Key State Ag Service opened a second warehouse in Manheim, PA where we operate box trucks for bag delivery services into Eastern PA and parts of Delaware, New Jersey and Maryland. At the beginning of 2017, the Dairy Supply Route Truck and Retail Store was sold to Agri-Service allowing us to focus more on the bagged delivery side of the business as we have recently expanded our routes in August 2017.